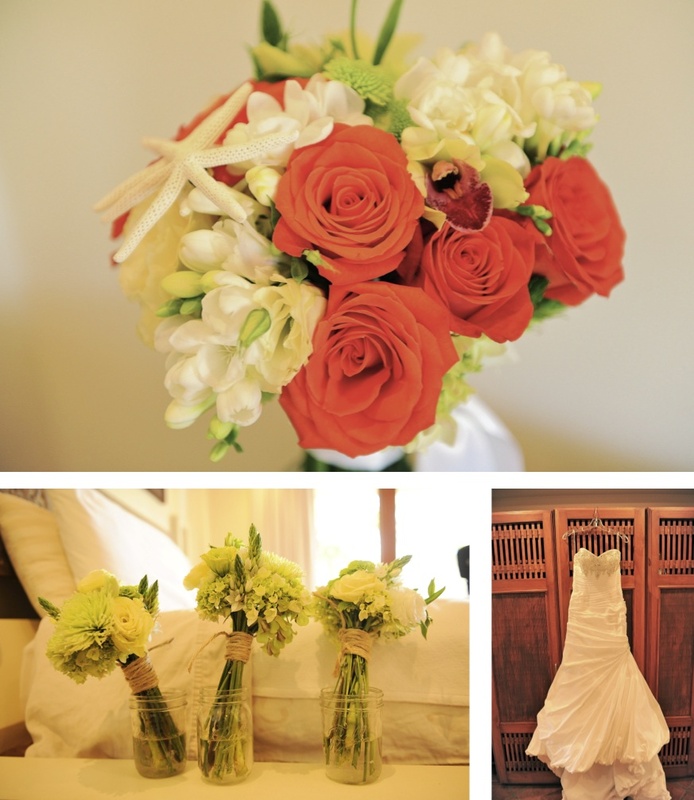 Melissa and Greg were married on January 19th, 2013 with their closest family and friends by their sides. They are both surfers, as well as much of their wedding group, and you could feel it, the vibe was easy going and fun, all about the fun! 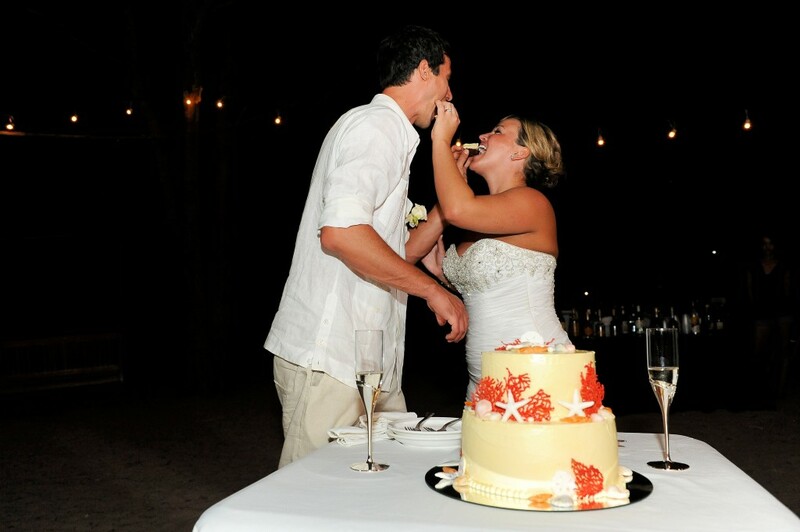 Their group did multiple tours during the week, yet they still had enough energy for the rehearsal dinner and the wedding. They were extremely easy to work with, patient, flexible, very responsive, and had great ideas in regards to food and design….Greg was in charge of food, and Melissa, design. The food was tropical, simple, a little local flair, but elegant and the design was tropical, embracing the surroundings, but bringing in some touches of Melissa and Greg in the seashells, burlap, corals, whites and greens. It was really fun to collaborate with them, the outcome was just what they wanted. 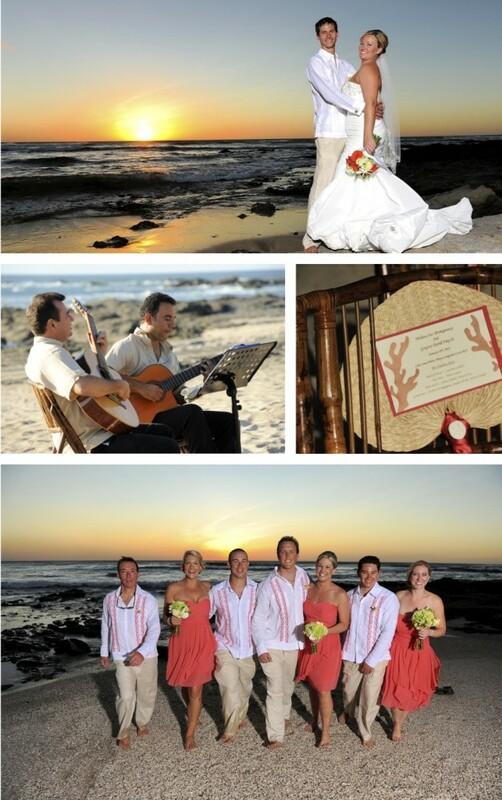 A ceremony on the beach, a reception with your toes in the sand, and dancing under the stars. It was a treat to help this special couple and I wish you a future full of waves, fun, love, and happiness! We included a few starfish into this bouquet, it made it a little extra special. Although they look serious, they were both very “Pura Vida” and excited! 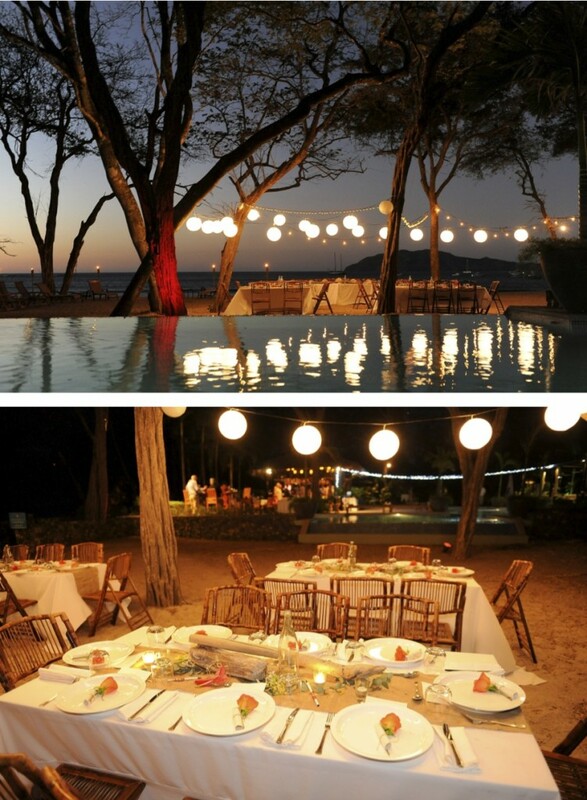 A very simple and elegant, what I like to call “Beach Chic” reception on the sand under the trees. And last but not least, their wedding highlights video, which is all smiles from everyone around! What a wonderful group! Melissa & Greg highlights video from Jonathan Yonkers on Vimeo. Again, Melissa and Greg, it was a pleasure! Thank you for everything!